Josh Hawkins with the fruits of his labors. A retired Navy Chief, Josh considers his old military camo as a good luck charm. The quote from some unknown wore-out soul, and likely delivered after a long unsuccessful trek through timber, rings true for all turkey hunters, veteran and novices alike. It is a sport for which there is no end to learning. 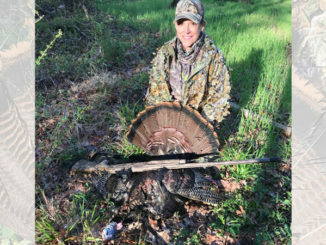 For that reason we have asked two world champion call makers and two Grand Slam hunters to share their opinions on what Mississippi sportsmen can do to score on these cagy birds. 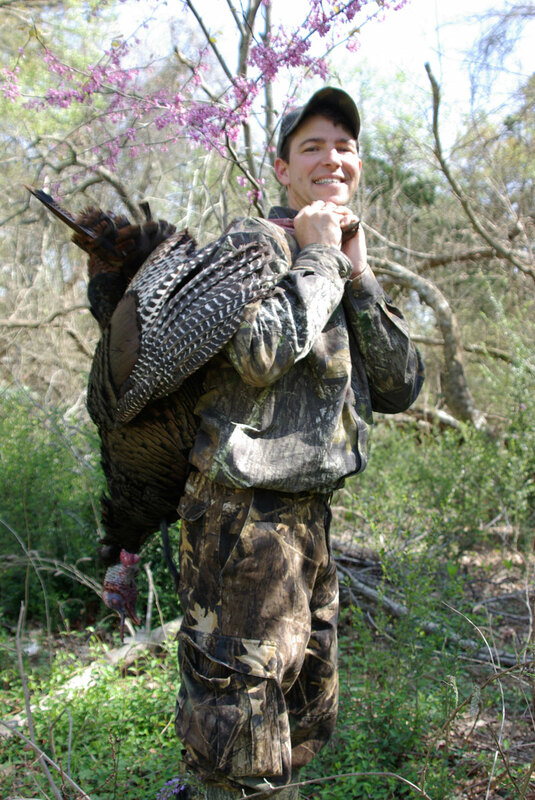 “Whether a beginner or an expert, the first thing I’ll tell every turkey hunter is to get into the woods as often as possible and LISTEN,” said Preston Pittman, the Hattiesburg native, former world champion caller, successful call maker and a still-being-educated turkey hunter. It is a sound turkeys make when all is well with their world. 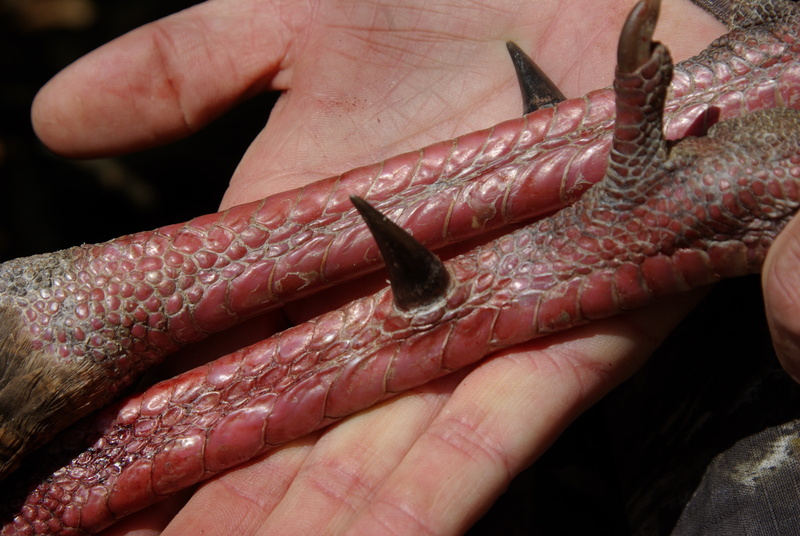 Most mature gobblers have an impressive set of spurs, with at least a hint of hook. The boss bird will use them to keep subordinate birds in place. The next morning, listen to the morning music of the waking dawn. Allow the hens to be the first to stir. They’ll yawn and stretch, cluck and purr, and have a good look around. This is what a gobbler is listening for those cues. Then listen to how the gobbler reacts, and how the hens respond to him. That is how you want your call to sound. 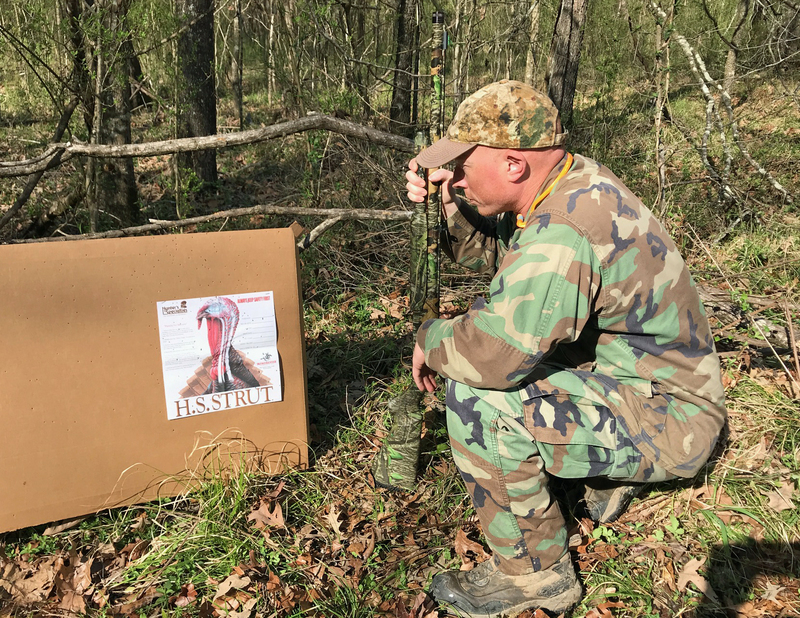 Hens want to make just enough noise to get noticed by the gobbler. Once he answers, they want to go meet him, take care of a little business, and then go to nest. 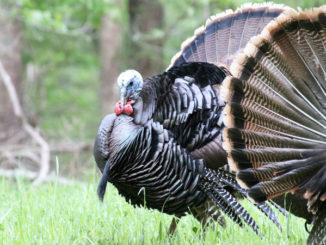 That is when he is toughest to kill, because the chances of getting that gobbler away from that harem for a hen he can’t see — you — are slim to none. But, what will work is to keep calling and see if there is a subordinate bird, maybe a 2- or 3-year-old tom in the area looking to pick off a hen from the boss bird, while he is busy with the flock. Continue to call softly and keep your eyes moving, because this subordinate bird has like experience the ire of the dominate gobbler and is not looking for another fight. The subordinate birds usually approach in silence knowing that gobbling is a sure way to attract the boss. A decoy can play well into this scenario, maybe even a squatting hen and a jake decoy, placed in close proximity. Once the boss has serviced is harem, he will look for other hens he might have heard but missed. It could be 9 or 10 a.m., or it could be 2 or 3 in the afternoon. 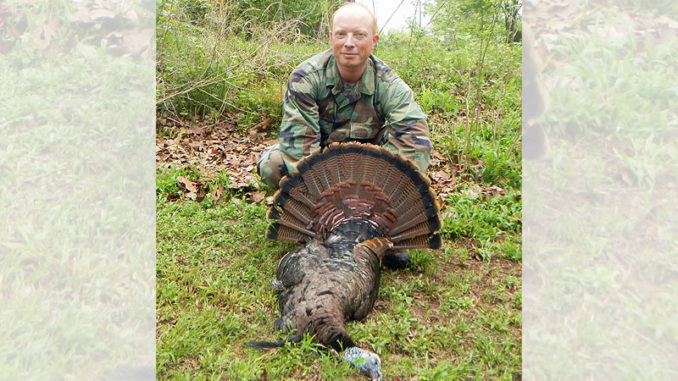 Pittman loves to find a boss gobbler after his harem is gone, knowing that if the hunter can get the old bird to gobble, there’s a good chance the bird will play the game. It doesn’t mean a sure kill, but it does give the hunter a game. Decoys work well, especially a jake/hen or gobbler/hen sets, since the boss bird will not like finding another gobbler in his territory. Hunters are wise to glass fields where gobblers are known to visit and strut, but finding one creates dilemmas. Open-field toms can be tricky, since a bird in space can see a long, long way. It forces a hunter to form a strategy. Decoys can help, but setting them up without being seen is critical. The decoy(s) must be set out of the tom’s line of sight, but be in line with a spot to which he can move. Using topography helps. Once done, our next expert recommends softly yelping to get his attention, hoping it hears the call and comes to investigate. “This set works well for me,” said avid hunter Josh Hawkins. “I place one or two hens a few feet apart and use a Funky Chicken (Flex Tone gobbler decoy) about 5 feet away. A jealous gobbler can’t resist the set. In placing a decoy set, think of how the hunt is likely to go. Sit to the side of where you believe the gobbler will approach, putting you out of his line-of-sight focus on the faux hens. Hawkins’ formed the plan by putting himself inside the mind of a turkey. Hawkins, a retired Navy Chief, likes to hunt early mornings to locate birds, then early afternoon to do the finesse calling, and what he refers to as his “take-away” set described in the above paragraph. He uses different decoys and spacing, and sometimes places the set in the edge of the woods adjoining the field. Changing the look of the decoys adds an air of reality. “Just in case anybody cares,” Hawkins said, “I use a Mossberg 835 with a stock full-choke tube and 3.5 inch load of Federal No. 4 copper-plated shot. Simply put, he means calling a gobbler to within 40 yards or less and making the kill something to remember. Josh Hawkins checks the pattern his Mossberg delivered at 40 yards. Several loads and shot sizes all patterned well enough to drop a bird. “There are a lot of shotguns now that will allow a hunter to take a safe shot on a bird at 50 or even 60 yards,” Meek said. “But is that really the essence of turkey hunting, or has the sport become all about turkey killing? When I started turkey hunting there were a few 3-inch chambered guns around and unless you could afford a Cutt’s Compensator, that gun was fix-choked to factory full. Meek has been true to a promise he made himself early in his call-making career decades ago, refusing to move his call making operation overseas. He still makes calls in his own shop in Morton, tuning each one himself and discarding any he thinks don’t make the cut. Meek added that he listens to hunters both veteran and amateur at outdoor shows and he has heard so many say they have stopped shooting birds and prefer to call birds into range for others to shoot. In 2017, Jim Smith of Brandon logged his 500th turkey into his personal hunting journal. 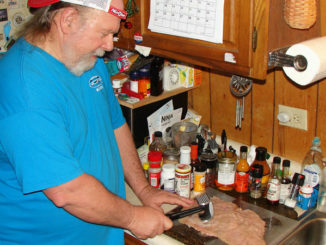 A retired former Chief Justice of the Mississippi Supreme Court, Smith is a turkey purist. He is not a braggart, but has as much right as any in the sport. “Turkey hunting is my passion, my No. 1 sport,” Smith said. “I am the first to admit I’m old school in my approach to hunting. I’ve had the privilege to travel to many states where turkeys live. 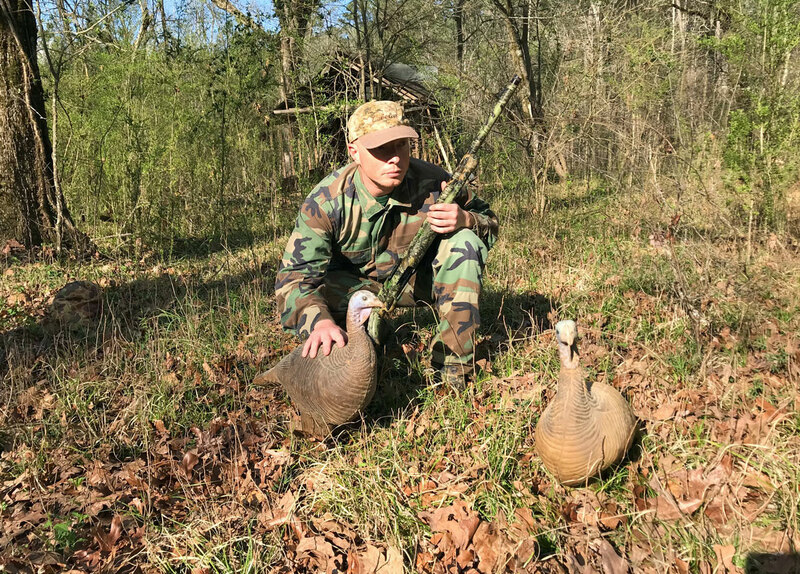 J. H. Watley took this gobbler calling sparsely on a afternoon hunt when the boss tom’s harem had left him for their nests. Smith says the fundamental secret to success is getting to know the quarry, learning its habitats and how it thinks. This will take many hours in the field, listening and watching. In short, he said a hunter has to think like a turkey. “I call very little and I don’t hoot, holler and whistle to get a bird to gobble,” Smith said. “An owl or crow will do that job for me. Don’t get too impatient and try to push the process, allow the bird to wake up on his own terms. When the gobbler flies down, Smith advises against over reaction. Smith recounts one hunt where a couple of turkey myths were dispelled by one bird. He could tell by the gobbling, the bird was closing the gap. He advised his hunting partner to just sit tight and be quiet. The gobbler left a pair of hens (myth No. 1, you can’t call one away from hens) and took flight just long enough to cross a canal (myth No. 2, birds won’t cross obstacles). The hunters had to wait more than 30 minutes, but the bird came in silent. 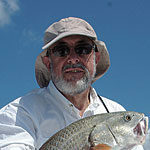 “Easterns (Mississippi’s native sub-species) are the hardest to hunt; as they get older they get smarter,” Smith said. “I once did what so many hunters are guilty of doing, locking my entire season into the pursuit of one cagey gobbler. I hunted this bird for eight years. It took me two years to understand he could not be called. Glean what you will from these expert callers and hunters. They can walk the walk-the-walk and talk-the-talk. If you heed the advice, perhaps one day you too can be counted as a hunter among men true to the sport.